We have been getting great report improvement suggestion ideas for a long time and finally found the perfect integration to make it all come to life. Domo.com has a super powerful reporting and analytics platform that was only possible to make affordable because of our scale. 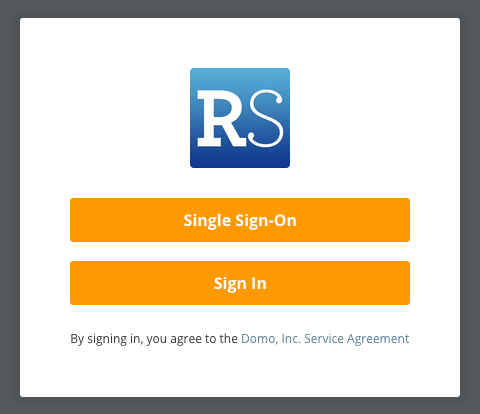 Base licenses for Domo and similar analytics platforms typically start at $300 / month and up. However, Domo understood that we serve small and medium-sized businesses that wouldn't otherwise have access to these kinds of tools. Based on our growing base of 1,500+ businesses we've arranged for amazing rates on this. We are not generating revenue on this -- we're simply offering this at cost to benefit our users. Domo was willing to make trial access available to our users, so everyone can enjoy a 2 week free trial and take a look at what is there. Head to the App Center, and if Domo is available to you it will show up in the list of apps. Click the app card, and maybe start with a trial. Use "repairshopr-ss" in the URL when logging in to the app. If you have anything you would like to see, let us know via the feedback widget on the side of our site.